The Koakaka cooperative is divided into 6 zones, around the Nyamagabe, Nyanza and Huye districts. These zones are Muganza, Cyanika and Ngara in Nyamagabe; Karambi in Nyanza; and Kiyaga and Rwamweru in Huye. Farmers from Rwamweru deliver their cherries to the Karambi CWS. Today Karambi CWS accounts for a total of 684 farmers (495 men and 189 women). The lot number corresponds to the date of the delivery of the cherries to the washing station. That is to say, for this lot Rwamweru 1404, cherries were delivered the 14th of April 2018. The cooperative of coffee farmers of Karaba ("Koakaka" for its acronym in Kinyarwanda), has in total 1,316 members. Of these, 1019 are men and 297 women. Almost all of them, are small-scale farmers, who own not more than a quarter of a hectare, where they grow on average 250 to 350 coffee trees together with other crops such as bananas, corn and beans. Since 2003, members of Koakaka have consistently improved its financial situation and negotiating position in the industry. Before the proliferation of washing stations and cooperatives like Koakaka, the Rwandan market was dominated by a single exporter (RTC). It was a monopolistic and inefficient system, which together with the decline in world coffee prices during the 90s, brought severe hardship to the farmers of the time, many of which ended definitively abandoning the cultivation of coffee. Today, the situation is totally different. Koakaka coffee farmers have seen their income increasing systematically over the years and future prospects have never been better. Koakaka is producing lots of exceptional quality year after year, opening new markets and creating business opportunities that until recently, were unimaginable. Also, they recently inaugurated their second washing station located in Gaseke village, serving the farmers of the Muganza, Cyanika and Ngara zones in Nyamagabe. Koakaka has been awarded consistently in past years, including some recognition in the Cup of Excellence of Rwanda in 2007, 2011, 2012, 2013, 2015, 2016 and 2018. In the last COE held in Rwanda 2018, farmers of "Karambi CWS" won the 10th place with a lot scoring 88.69 points. When we talk about Rwanda is impossible not to mention the horrible genocide that happened exactly 22 years ago (1994) and left nearly 1 million dead. Despite its sinister past, today is admirable to see how this small nation has risen from the deepest and darkest background, to become one of the most prosperous and safe countries in all Africa. 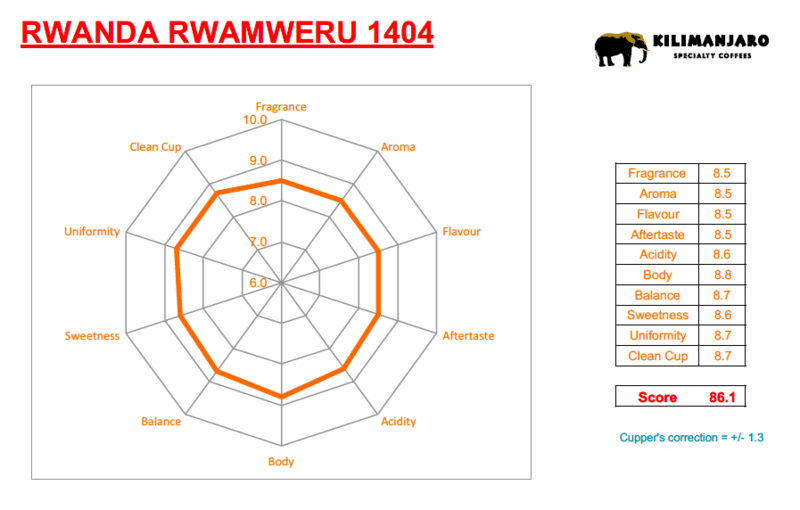 Currently, the Rwandan coffee industry is at its peak and producing exceptional coffees. The road clearly has not been easy, but through the leadership of a serious government, educational projects and strategic planning, they have laid the foundations for this success. Today, some 420,000 people are directly or indirectly related to the coffee industry. High quality coffee prices are more stable than commercial prices, which has improved living conditions of many farmers and their families. In addition, coffee also contributes to the reconciliation of the two main ethnic groups: Hutus and Tutsis; as we have seen them working together to produce more and better coffee. This lot was processed using the fully washed method with double fermentation. Koakaka members are constantly trained to harvest only the ripest cherries from their trees. 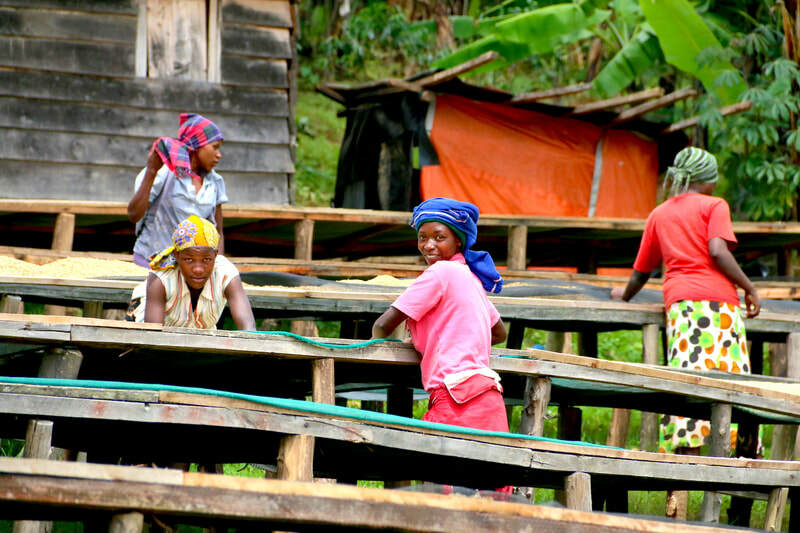 The cherries are delivered the same day of the harvest at the washing station. The means used for delivery may be walking with a bag of cherries in the head, by bicycle or by small trucks that are organized by the cooperative in a central collection point. Once delivered to the washing station, the cherries are visually checked and selected again to ensure that only mature cherries are processed. Then they will go through the mechanical pulper, usually in the afternoon, the pulper will separate the heavier beans (the floaters are removed) into three categories. After pulping, coffee is dry-fermented for 12 hours. Then, parchment is washed and selected by gravity using flotation channels (the heavier beans that sink are usually the best). Later, coffee will go into soaking, which is a wet-fermentation in a tub with clean water for another 24 hours. Finally, the coffee will pass to african beds, where usually women, will select again by hand when the parchment is still wet, this way defects are easier to detect. 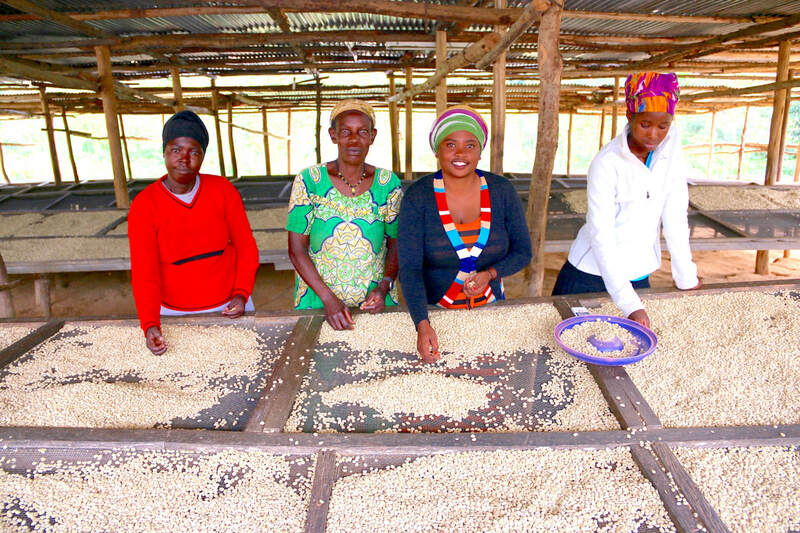 Once the process of washing with double fermentation and wet selection by hand is completed, the beans are moved to the raised African beds and sun-dried for about two weeks. During this period the parchment is constantly moved several times a day to ensure an even drying. 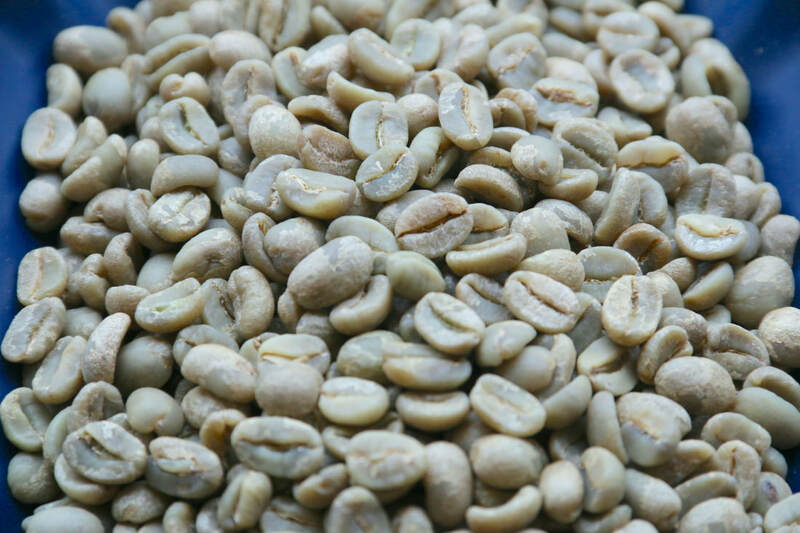 Finally, when the coffee reach between 11 to 12% moisture content, will be stored in parchment, separated and label carefully by lots, producer and harvest dates. When ready for export, will be transported to Kigali for milling, packing and loading.